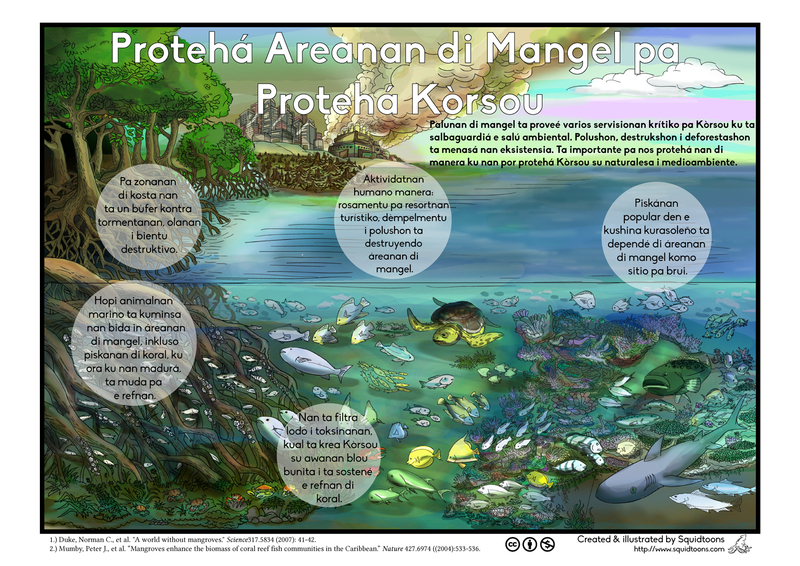 In order to save the brilliant life of coral reefs, we must also save the dynamic life of those which coral reefs depend upon: mangroves. 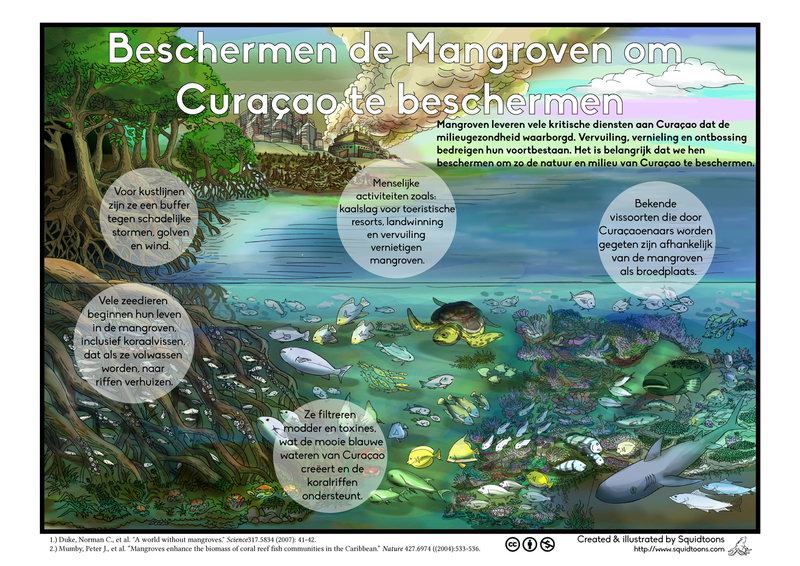 This poster was specifically designed for Lalitha Asirvadam's MAS Capstone Project, translated into Dutch and Papiamento, and distributed for the people of Curacao. Drawn by Dana Song. Written by Lalitha Asirvadam. Edited by Garfield Kwan.